Rachel Sealfon joined the foundation in 2016 as a research scientist in the center’s genomics group. She is applying data integration methods and prediction approaches to study functional genomic data. 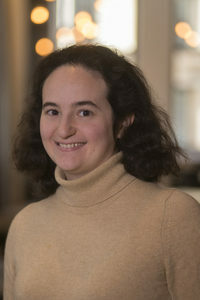 Sealfon has a Ph.D. in computer science from the Massachusetts Institute of Technology, where she was advised by Pardis Sabeti and Manolis Kellis. She has an A.B. in computer science from Princeton University.